A Scientology community relations specialist, citing a recent address by the U.S. Drug Control Policy Director, says government and private sector cooperation against drug trafficking and drug abuse is essential and warns that profit-making interests will attempt to impede both. …by involving everyone and bringing on all solutions, starting with education. No single group or government can do it alone, but together we can rid our communities of drugs in a single generation. Los Angeles (Vocus/PRWEB ) May 6, 2010 — Speaking to a coalition of anti-drug activists Tuesday night at the new Church of Scientology of Los Angeles in Hollywood, the Reverend Robert Adams pointed to establishment of the Interagency Working Group on Demand Reduction established by the White House Office of Drug Control Policy (the “Drug Czar”) as a positive step, and called for similar interaction at regional, state and local level. 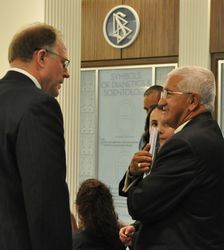 Reverend Bob Adams (left) discusses drug education strategies with community leaders. 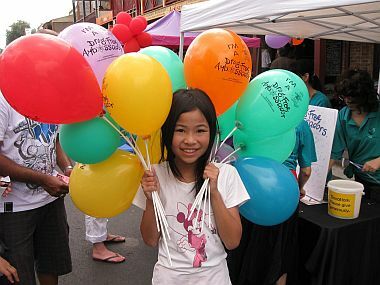 The Church of Scientology has conducted community-based drug education programs for more than 20 years, reaching millions with factual information about drugs internationally through distribution of “The Truth About Drugs” booklet series, drug awareness events, media, Internet sites, mailings, billboards and award winning educational videos and films. A Scientology-sponsored drug education group called the Drug-Free Marshals rallied community and civic leaders to take a stand against drug abuse and addiction. A Scientology-sponsored youth group rallied local community and civic leaders to back drug education and prevention in commemoration of last week’s United Nations International Day against Drug Abuse and Illicit Trafficking. The campaign message this year, from the United Nations Office on Drugs and Crime (UNODC), was “Do drugs control your life? Your life. Your community. No place for drugs.” The slogan conveys the concept that drugs concern everyone as their use harms individuals, families and society at large. The Drug-Free Marshals is an international grass-roots drug education and prevention program. The Church of Scientology of Toronto sponsors a chapter, membership of which is open to all children who want to be drug-free. To get across the UN’s anti-drug message, the youngsters worked with local officials who are committed to handling the drug problem in their area. 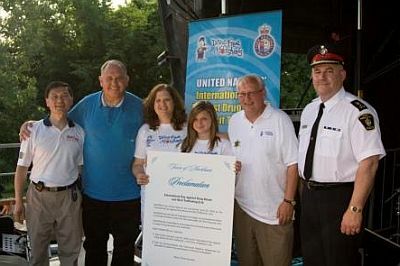 They contacted the Markham Town Council, which unanimously proclaimed June 26th as the International Day Against Drug Abuse and Illicit Trafficking in the Town of Markham. The Mayor presented the Drug-Free Marshals with the proclamation at the Taste of Asia Festival, where Drug-Free Marshal, Sophie Pateropoulos, led all those attending in a pledge to be drug-free. Scientology Founder L. Ron Hubbard wrote, “Save the child and you save the nation,” and the Church of Scientology of Toronto, committed to saving kids from the tragedy of drug abuse and addiction, has been active in drug education and prevention for more than 2 decades. For more information on what the Church of Scientology is doing to counter drug-abuse and promote drug-free living visit the web site of the Church of Scientology of Toronto or the Scientology video channel. Members of the Church of Scientology of Sydney came out in force at Hunter’s Hill’s Moocooboola Festival last Sunday to support Missing Persons Week—a public information campaign of the Australia Federal Police (AFP) to counter this social problem that tears families apart and often ends in tragedy. Out of an estimated 35,000 people who are reported missing each year in Australia, approximately 20,000 are under the age of 18. “There are various issues associated with young people going missing,” states the AFP web site, which goes on to explain that drug and alcohol abuse is one of the main contributing factors. 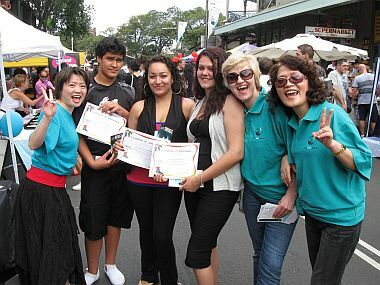 The Drug-Free Ambassadors Sydney chapter handed out copies of drug education booklets about the 10 most commonly abused drugs, and signed up over 200 people to be Drug-Free Ambassadors at the Moocooboola Festival. Like their sister group, the Drug-Free Marshals in the United States, the Drug-Free Ambassadors was founded in 1993 and has been active in drug education for the past 15 years. A conference held in Los Angeles empowered 80 drug-free youth as Drug-Free Mentors. Coming from around California, Washington State, Missouri, New Mexico, Virginia and Florida, the 14 to 25 year olds were nominated locally as persons of good character who want to help others be drug-free. The youths spent a full day learning about the effects of drugs, how to deal with drug-related social problems they encounter and participated in a lively panel discussion with three veteran law enforcement officers. The Foundation for a Drug Free World provided plenty of drug education booklets and posters for immediate use to everyone and Foundation Ambassador and TV actor, Jason Dohring, led the group in taking the Mentor Pledge. The 26-year old actor said that drug education helped him decide at an early age to stay away from drugs and also positively influence his friends. “Today education about drugs is something everybody needs,” he said. A 17-year veteran Los Angeles Juvenile Narcotics Detective who was part of the discussion panel helped answer questions on everything from law enforcement duties, to the dangers of drugs and how they change body chemistry. As to why kids get involved in drugs in the first place, he said the reasons vary but that youth who have developed self confidence are able to stand up to peer pressure and make proper decisions. “That’s really important,” he said.